Today sees two ‘Firsts’ – the debut publication from New Forest publisher Hatchet Green Publishing + the launch of the first ever critical anthology of historical writing on the New Forest, edited and introduced by New Forest writer Ian McKay. With this 332 page anthology of historical writing, readers can follow in the footsteps of the most celebrated writers on the New Forest; including William Gilpin, John R. Wise, and Heywood Sumner, as well as 18th and 19th century diarists and chroniclers such as Daniel Defoe, William Cobbett, and Richard Heath. Among the many contributions on the natural history of the New Forest are writings by the celebrated naturalists W.H. Hudson, and C.J. Cornish, as well as the prolific writer on British woodlands, Francis George Heath. 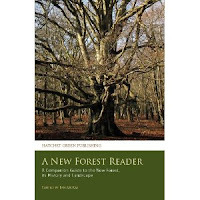 For anyone interested in the complex history and landscape of the New Forest, this anthology will prove fascinating. 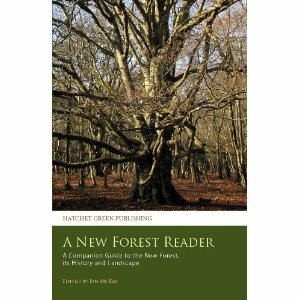 A New Forest Reader: A Companion Guide to the New Forest, its History and Landscape (to give it its full title) can be purchased from Amazon.co.uk, Hatchet Media, or all good booksellers. Ian McKay is a writer and artist who has been photographing and writing about the New Forest for many years. Previously he wrote on the arts and cultural history, before turning his attention towards the natural beauty and historic importance of the New Forest and the rural scene. How could such a comprehensive anthology about the New Forest not be worth reading? I'm going to get a copy.